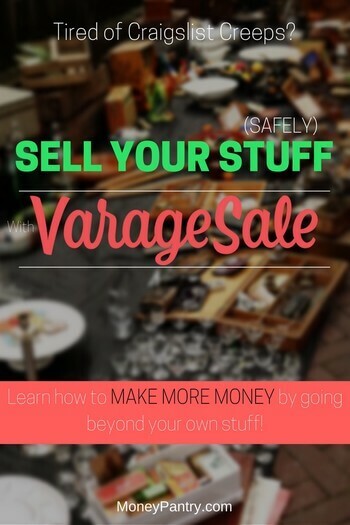 Today we’re going to review VarageSale, an online garage sale website/app. Do you feel safe when you buy and sell things locally via classified sites like Craigslist? Do you hate the process of hauling stuff from the basement to the garage on that Saturday that is supposed to help you get rid of your unused stuff and make you some cash? Hate dealing with the garage sale leftovers? Wish there was a better, safer and easier way to declutter and make extra money? If so, say hello to VarageSale! The local buying and selling app claims to be the only one of its kind based on 100% real identities. Members are required to connect with Facebook so that buyers can see real names, photos and shared friends. Plus, all users are manually verified by community moderators before they’re allowed to buy or sell. Even better, the selling tool is totally free and super easy to use. The site is growing in popularity. According to SimilarWeb, visits to the web site continue to increase with more than 2.2 million visitors over the past six months (an increase of 27%). It is easy to access either online or via an app. Each local community has its own dedicated admin. The admin makes sure members use their real identities, names and photos. After you create a listing that includes a photo, headline and description, buyers are able to reserve your item. You can check out the buyer and read member ratings before agreeing to meet, drop off your item(s) and collect your payment. Signing up for an account can be done in four easy steps. Navigate to the website or open the app and follow the prompts to create an account. Enter and review your information to create your account. You will be asked to accept Facebook permissions and enter your email address and a password. Confirm your email address. Once an admin confirms your identity, you should receive a notification. You must confirm your email address via the confirmation link emailed to you. Once you have confirmed, you can use your email/password or your Facebook account to log in. Posting an item is easy, and VarageSale walks you through the process. You will need a photo, headline, description and price for each item you list. You can list your item(s) in two ways – via the app or via the website. Tap the blue “Post” camera button on the bottom navigation bar. Then tap “Next” at the top or bottom of the screen. Now you will need to enter your item’s information. Don’t forget to slide the top half of the screen and select your category and other required fields. Once all the fields are filled out, tap the “POST” button in the top right corner. Voila! Your item is posted. First, click the blue “Post Items” button. Fill out the required information for all your items – category, title, description and price. You will see your submitted items on your “My Stuff” page in the selected category. Items you post will be in all the communities that you selected when creating the listing. Be sure to only post your item for sale in communities where you are willing to meet. VarageSale wants to keep things local. Your post can make its way back to the top of the feed through a bump in various ways. Bumping occurs organically when someone else comments on your listing. You can bump your item by lowering its price by at least 25%. You can also bump your listing by clicking the word bump or tapping the blue bump arrow. When a buyer is interested in purchasing an item, they will message you via private messages. Be sure to do your research and check out the buyer by reading member ratings. You don’t have to sell to anyone you don’t trust. After you agree to all the details, you can reserve the item for the buyer. Try to meet in a public place during the day, if possible. Once you both have agreed to a time and a place, you schedule the meetup. Follow through and meet up with the buyer, who will mark the transaction as complete after inspecting and purchasing the item. What if you want to take this a step further? What if you want to turn this into a real money making side hustle? How do you get more stuff to sell? Thankfully, there are a few ways you can source more stuff to sell using this awesome virtual yard sale app. Most of us have more than a few items to get rid of. If you want to declutter your house and make some cash in the process, you need to start looking around your house first. Look for vintage items first. Some items from the 1960s, 70s and 80s are worth a pretty penny. Look for obsolete electronics, vinyl records and old toys. Find an old toy still in the original package, and you could fetch a great price! Example: A boxed GI Joe Jeep circa 1964 could earn you about $200. If you are an animal lover, like us, you probably spoil your pets. You probably have a lot of old and unused toys, tanks, cages and accessories that are gathering dust in the garage or basement. Example: A hamster cage with a wheel and water bottle can easily be listed for $20, and large fish tanks or metal guinea pig cages can be listed for $30. After countless bug bites and frightening storms, maybe camping is no longer your cup of tea. But, some people are still eager to spend time in nature. Sell them your gently used camping equipment. Example: A Coleman portable grill could get you $30, while a nice family-sized tent could sell for $100 or more. Are you in love with your new gaming console? Then why not sell your old ones. Gently used games and consoles are popular among collectors. Depending on original price and popularity, individual games can earn you anywhere from $5 to $25. Example: One VarageSale user sold a PlayStation 2 with eight games for $50, and a Nintendo GameCube with 10 games sold for $125. Some people have shelves of unused board games. Popular children’s games, like Hungry, Hungry Hippos or KerPlunk, can sell for around $5 each. Bundle games and make $20 for five. Games that are out of print or vintage can be worth a lot more. Do your research before setting your prices. Example: Adult, strategy games, like The Settlers of Catan, can go for around $25. Even if your appliances and electronics are broken, you can sell them for spare parts. Check for things like remote controls and power adaptors for devices you no longer have or use. These can also be sold on VarageSale. Example: Your coffeepot from your broken coffee maker could sell for $5. Chances are you’ve stopped using it, so sell it to someone else who will. Depending on features and quality, an exercise bike can earn you anywhere between $50 and $300. Example: A set of six hand weights could sell for $30, and a pair of adjustable dumbbells sold for $120. Do you have a closet full of sporting equipment that never gets used? Example: A good pair of roller blades, a scuba diving suit, a set of golf clubs or a recurve bow with arrows can net you $100 each. There is only so much space in your cupboards. So, sell your unused or rarely used kitchen gadgets and appliances on VarageSale. A simple waffle maker can sell for $15, and a quality ice cream maker can go for $50. Who has time to bake, anyway? Example: KitchenAid stand mixers sell for around $150. Babies require lots of stuff they quickly grow out of. If there are no more babies in your future, pass on some baby bargains. Example: A bouncy chair can sell for $15, an infant car seat for $50, a portable bassinet for $60, and a brand name stroller can earn you $300 or more. Purge your closets every so often and sell your unused clothes on VarageSale. If you haven’t worn clothes or used an item in 8-12 months, throw it in your sell pile and get to listing. Example: A medium Under Armor sports short sells for around $5.00. Maybe you’re a neat freak with little to no clutter or you’ve already sold all the stuff around your house. Don’t worry, you can hit the streets in search of some deals. Flea markets and swap meets bring together vendors who are motivated to sell a variety of items. There are even bartering & swapping sites you can use. Try to find antiques, housewares, indoor and outdoor decor, vintage items and collectibles then negotiate prices to get the best deal. Most vendors will knock 10-20% off a listed price. A little digging could lead to the discovery of treasures. Chances are you will drive by many garage and estate sales throughout the year. Garage and yard sales usually feature rock-bottom prices. Stop and see if you can find great deals on new or gently used apparel, accessories and appliances. Estate sales are great for big-ticket items, like home appliances – refrigerators, washers and dryers – furniture, decor and housewares. You can use couponing to buy items in bulk and then sell them on VarageSale. 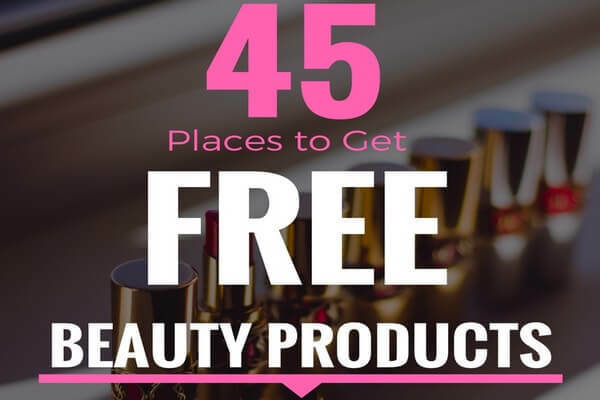 Think of all the buy-one-get-one-free promotions that can be sold for a profit! Sell items like paper towels and toilet paper in bundles to make even more money. Don’t know where to begin? No worries, read our ultimate beginner’s guide to couponing. Branded outlet stores can be a bargain hunter’s paradise. When you can find name-brand merchandise at a discounted prices, you can make some serious cash. Pay attention to sales and special promotions, and you can score some awesome deals on high-end goods. Popular items include Kate Spade, Michael Kors and other designer handbags, high-end baby clothes and cloth diapers (even used ones!) and designer shoes. The resale value of these items can make a trip to the outlet store worth the time. Thrift store flipping is one of the best ways to find goods for cheap that you can sell for profit. Pop into GoodWill, Salvation Army or another favorite thrift shop to find items for your VarageSale feed. The stock changes weekly at many thrift stores. Be sure to regularly hit up these shops to grab great donations as they come in. Let your friends and family members know you are willing to take any unwanted items off their hands. If they have any clothes or home goods they were planning to donate to a charity, ask if you can sort through their donation pile first. Most will be happy to help you and get rid of the stuff they no longer use. Holding a successful garage sale, whether it’s a virtual one through an app, or a traditional one, requires work. Creating an effective garage sale ad that catches a buyer’s eye requires some thought. From the photo to the price, there are some quick and easy ways to improve your listings. Your photo will form the buyer’s first impression of your item. You want it to be as clear and accurate as possible. Be sure to place your item in front of a blank background. Remove clutter and keep backdrops neutral. When possible, use natural, indirect light. Light bulbs and direct light can cause harsh shadows. Focus on the best feature of the item you are selling. Add multiple photos to show details and condition. Be sure your photos are sharp and in focus. Grainy images will not help your sales. Shoot your images in a square format because they will be displayed in a 1:1 aspect ratio on VarageSale. Attract attention with great tiles and descriptions. Poorly written posts can be vague, confusing and misleading. Your title and description should contain specific, useful information for your buyers. Your title should be all about getting a buyer’s attention. Titles are limited to 140 characters. Scrolling members may only see your title, and the first words are the most important and visible. VarageSale’s data team found that titles with 5-20 words sell better. When writing your title, think about keywords that will be searched by potential buyers. Be 100% honest and accurate. Be sure to add popular words to help buyers find your item. After you draw people in with a strong title, hold their interest with a concise description. Think of the kinds of questions buyers will ask and answer them first. Take measurements and be specific. It should contain anywhere from 11-40 words. Do not skip the description! Items with no description sell less than items with a 30-word description. Do not make them too long! A wordy description can also have a negative impact. Before you list your item, be sure to check for errors. Typos will cause you to lose credibility, trust and sales. Setting the cost of your items can be tricky. It takes thoughtful research to ensure you get the most money for your item. Consider how long you want it to take the item to sell. Do you need money right away? Then, you may want to list it for the minimum amount. Also, consider what you would pay for the item. Do not ask for more than an item is worth. Check VarageSale communities to see how much other people are asking for similar items. You can also search the item via Google and eBay. This will help you get a point of reference for your listing. When we love an item, it is hard to be objective about its value. Do not overvalue things because of nostalgia. Also, just because you may have overpaid for an item doesn’t mean someone else will. It is hard, but try to remove your emotions when deciding on a price. You may want to raise or lower your price. Leave yourself room to negotiate. Being flexible will help your sales increase. Be prepared to make adjustments depending on interest and feedback. Consider offering discounts if a buyer is purchasing multiple items. This earns you more money and saves you time because you can meet once and sell both items. Also, consider lower prices for flash sales and holidays. You may want to bundle items in a single post. If so, make sure the items in the bundle make sense together. Smaller bundles sell better than larger more costly ones. For example, someone is more likely to purchase 4-5 items for $12 than an overflowing garbage bag of items for $100. For more tips, check out our garage sale pricing guide. Any season is good for selling on VarageSale. But, if you plan ahead, you can maximize seasonal sales. Many top sellers use a calendar to boost sales all year long. Start with the major annual holidays like Christmas, Hanukkah, Valentine’s Day, Ramadan, Halloween and Easter. You should also consider shopping trends like back-to-school in July and August, prom in the spring, wedding seasons, winter and summer vacations and spring cleaning. VarageSale buyers prefer to purchase items right away. So list items close to the holidays instead of months in advance. 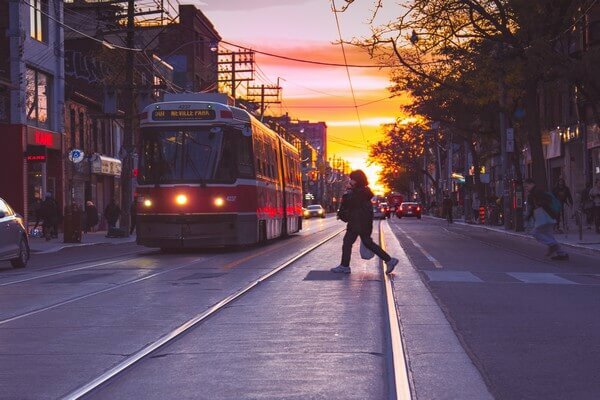 For example, sell snow boots and heavy coats in late autumn and early winter, grilling accessories in the late spring and sandals and shorts in summer. Don’t forget to include gift-giving opportunities like Mother’s Day, Father’s Day and graduations. Encourage sales by specifically mentioning which person or occasion the item would make a good gift for in the listing. Add your items to seasonal item categories, for example, Home > Outdoors for patio decor. Sometimes it’s necessary to clear out inventory. You may be eager to earn cash or clear clutter. Mark down the prices on out-of-season items. Rock bottom prices are hard to pass up. Keep in mind, members are looking to make their money go further during the holidays. Discounted items, even ones unrelated to the specific holiday, do well during these times. If you decide to create a VarageSale store, you will have a public URL to share with everyone. Your items will be visible to the public, but buyers will still need to sign up and be approved before they can contact you. Be sure you have the most recent app on your smartphone. From your desktop, visit “Preferences” and click the “About Me” tab. Turn “Make My Store Public” on. You can find your personalized link in the “My Store” settings or on the “About Me” tab. Now you’re ready to share your Store link with friends, acquaintances and family members. Tap on “Preview My Store” to see a what your store looks like to others. You can turn your Store off at any time. Once your Store is enabled, you can set your profile picture to be visible or not to the public. Share your Store on social media or via email and text. While researching for this post, I found this question being asked over and over again. Since the app is focused on creating a safe platform here every buyer/seller can be verified, and since Facebook verification is currently one of the fastest and most trusted way of verifying a user’s real identity, you have to use Facebook to sign up. But selling them locally is not always safe. We all heard of horror stories about Craigslist deals gone wrong. VarageSale is here to change that. So far, it is proven to be a safer way to sell things locally. If you want to earn extra spending cash in a trusted environment, this virtual garage sale app is for you. Now, go and spread the word about your deals! What sort of things could you sell on VarageSale? Have you ever used the selling tool? If so, what do you think? Please share your tips and tricks in the comments below. We hope this VarageSale review was helpful in helping you decide how and where to sell your stuff.